The enemies here are lined up nicely for you to slaughter with your AOE attacks. They should not be a problem. Better still, they are standing on Exp+100% Geo Panels. 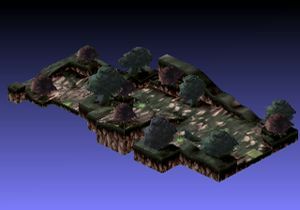 The trees in this map will obscure your view of the whole battlefield. Before you get started, take a look around and keep track of the enemies. Allowing the enemies to sneak up on you through the trees is a good way to lose this battle. The Knight can be tough, but stealing her weapon reduces her power significantly. Throw as many characters as you can toward the geo symbols. Destroy them and then destroy your enemies. 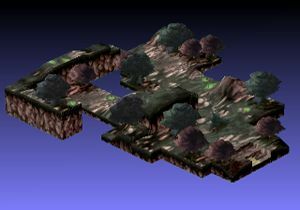 Before the fight give Hoggmeiser or netherworld noble and a few Sp boost items as his base wont float you very far. Use Hoggmeiser's earth shaker to replace each of the alps one by one using your strongest character to wipe them out after they have been removed from the panel. 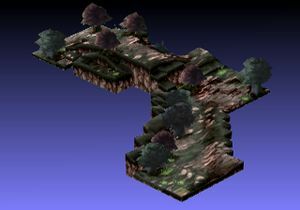 The stage is affected by Enemy Boost x6. 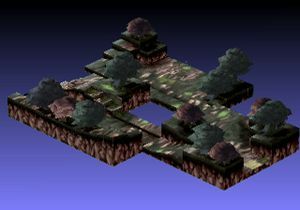 Luckily, there is an enemy in a straight line from the geo symbols who you can throw to destroy them quickly. This page was last edited on 20 January 2018, at 22:43.